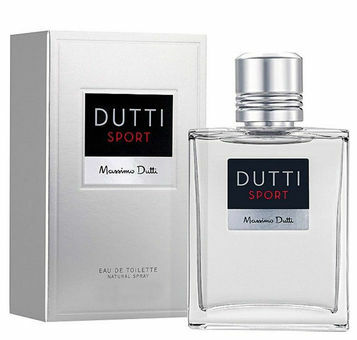 Dutti Sport is a refreshing fragrance, launched in 1998. Top notes: citrus notes, lychee, apple and mint. Heart: geranium, lavender, orange blossom, nutmeg, cinnamon and anise. Base: oak moss, cedar, vetiver, musk, labdanum, amber and rhubarb. Available as EDT.